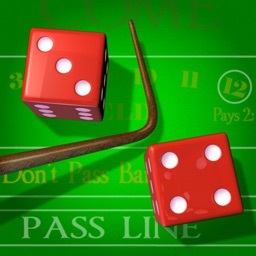 Enjoy the thrill and excitement of craps for free with Craps Lite for the iPhone and iPod Touch. This lite version of Craps Deluxe is easy to use and offers a true casino-style experience. 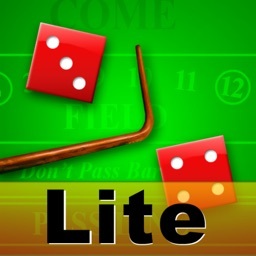 Try new strategies at your leisure, build a large bankroll, or simply learn how to play with Craps Lite. No other craps game gets you this close to the casino! 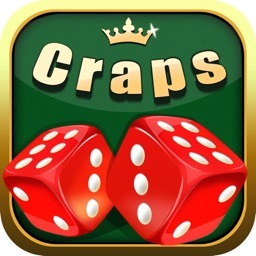 If you enjoy Craps Lite, try Craps Deluxe which has $100, $500, and $1000 chip denominations and starting bankrolls up to $5000. 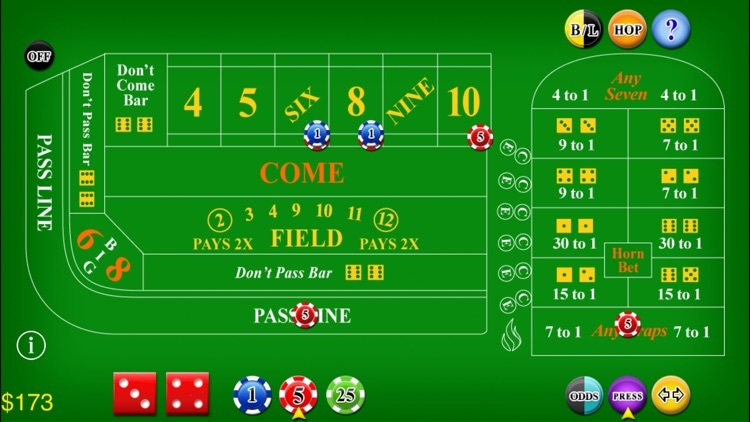 • Casino-style table layout with all bets available including hopping bets and the newest bet in Vegas, the Fire Bet. • Over 100 stick calls! 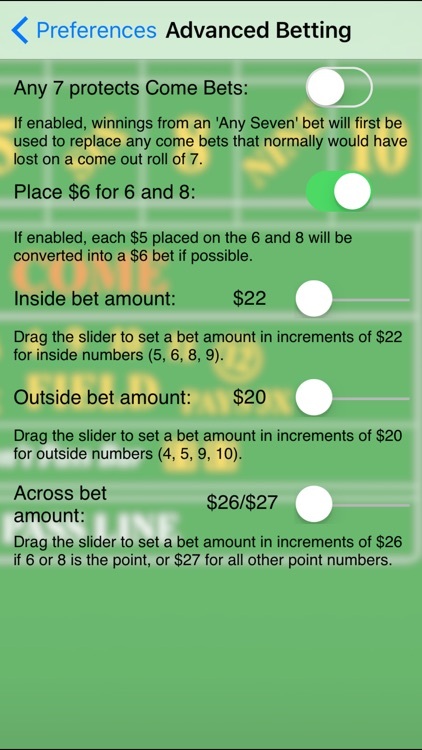 Hear the dealer call out your rolls and suggest bets. 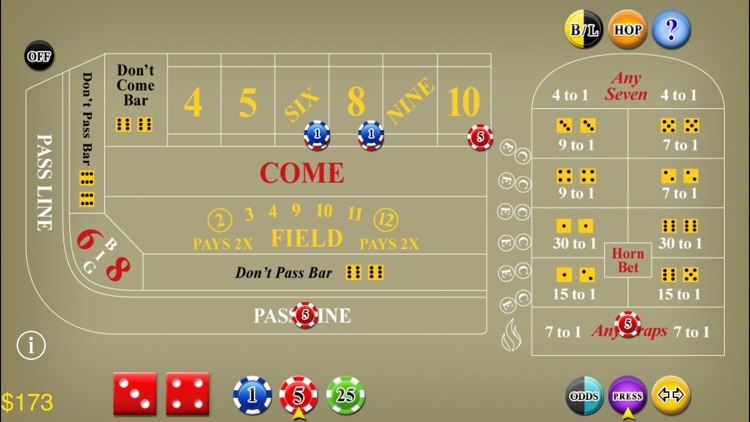 • "Ask the dealer" button shows you all the payouts for each bet and the amount you have wagered and will win. • New rhythm/controlled shooter option reduces those seven outs to help keep you on a hot streak! 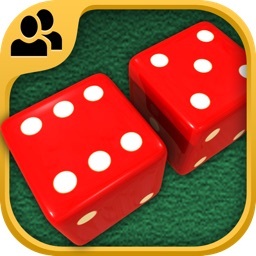 • Set the dice to one of six commonly used sets to help roll your signature numbers! 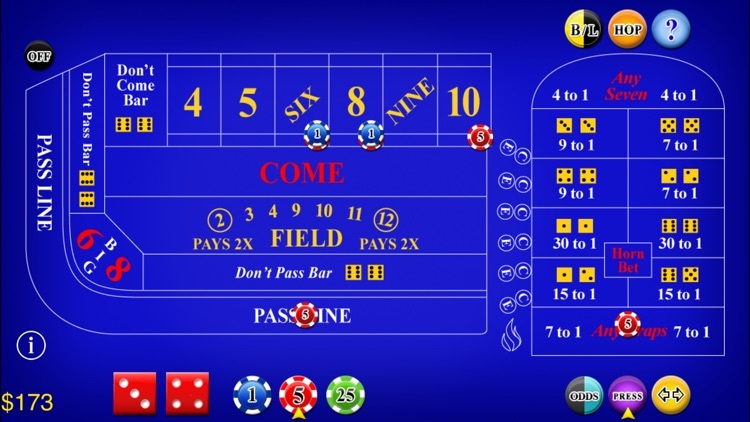 • Preferences for odds working, hardways working, place bet presses, shake to roll and more. Set your preference or let the dealer ask you what you want to do on the come out roll. • Save/Restore allows you to resume a game in progress. 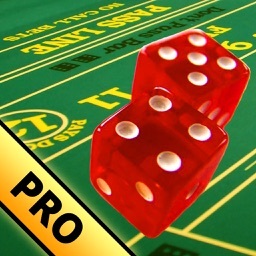 • 3x4x5x odds simulates popular casino-style odds. 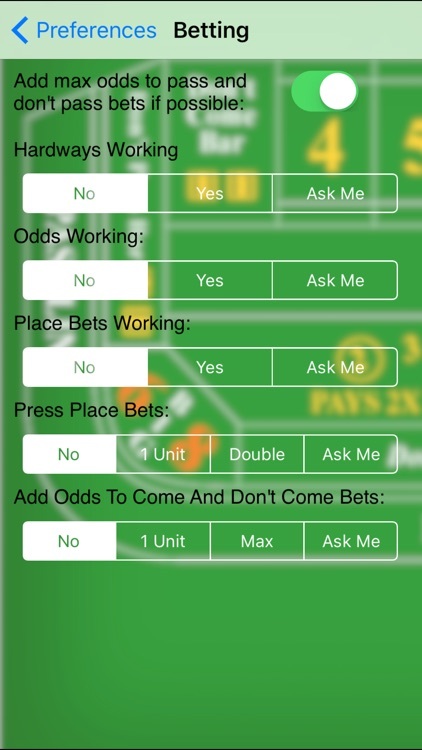 • Easily remove part or all of one bet using simple swipe gestures or double tap. • Multiple table color options. 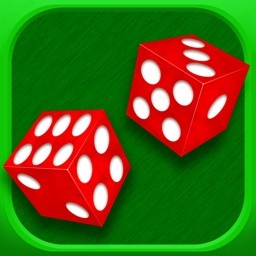 • New roll history graphs show roll number totals for current game and all games in each dice mode.